Day or night, city or country, Mazda Roadside Assistance is there when you need it. Our policies cover a range of important things – including flat batteries, locked in keys, accident support and flat or damaged tyres. Standard Roadside Assistance offers all the key services required to get you moving again. Mazda Standard Roadside Assistance costs $68.10 per year (inc. GST). Premium Roadside Assistance adds benefits like accommodation, a rental car, or vehicle recovery should you break down more than 100km from home for longer than 24 hours. Mazda Premium Roadside Assistance costs $83.50 per year (inc. GST). 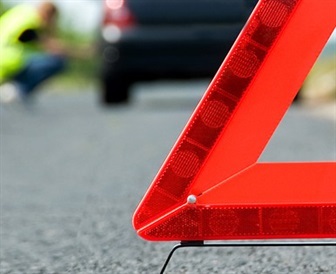 What is the difference between Standard and Premium Roadside Assistance? Both Standard and Premium Roadside Assistance cover the must-haves – things like flat batteries, locked-in keys and towing. Premium Roadside Assistance covers some additional costs. They include taxi fees, vehicle recovery, accommodation and a rental vehicle. Make sure you thoroughly compare the full list of what both policies cover so you can determine which one is right for you. If your policy has just been renewed there will be a 72 hour waiting period before you can access your roadside assistance, in the situation where you need assistance immediately and did not have cover at the time or are within that 72 hour period, a $100 service fee will be applicable. Please contact Osborne Park Mazda for full terms and conditions.